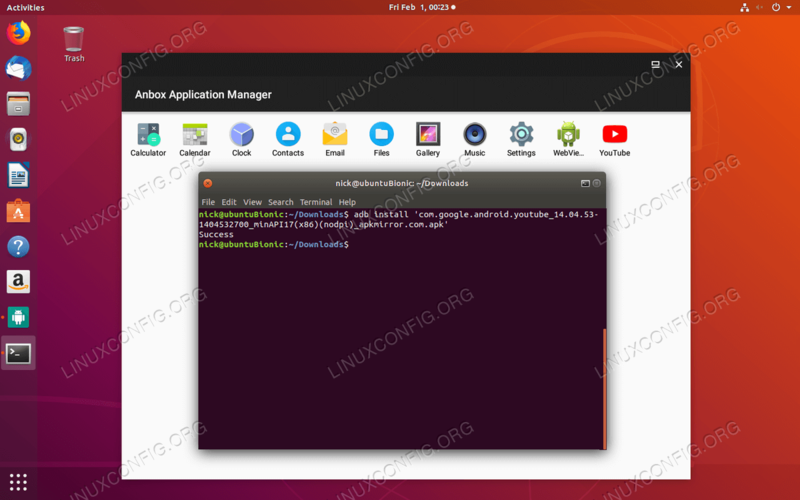 Anbox is a fairly new tools that acts as a layer between your Linux distribution and native Android apps. It allows you to use many apps as though they were running natively on your machine. While Anbox is still very much in development, you can get started with it now, and try out some of your favorite Android apps. Anbox has gained some traction with the major Linux distributions. As a result, you can find it in some distribution repositories. That said, snaps may still be the easiest way to get set up. Evaluate your options, and choose which works best for you. Anbox is a rather new addition to the Ubuntu and Debian repositories. If you're on Debian Buster or Ubuntu Cosmic, you'll have access to Anbox with Apt. Otherwise, skip down to the snap section. Anbox is available in the AUR. You can get it manually or with an AUR helper. If you have an AUR helper, the process is much simpler. Snaps are the still the preferred way to install Anbox, and they're the only real option on most distributions. 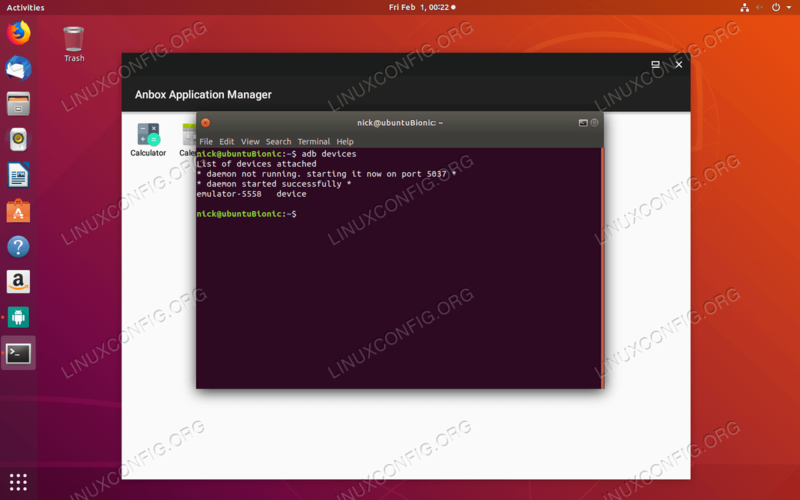 Make sure that you have snapd installed and running on your system, and run the following command to install Anbox. You'll probably need to restart to get Anbox working. It requires a few kernel modules to be loaded. You can start up Anbox right now, but the tools that come with it are fairly limited. Unfortunately, one of those tools isn't the Google Play Store. As a result, you're going to need the Android Debug Bridge(ADB) to manually push Android APKs to your virtual Android install in Anbox. The tools are readily available across most distributions, so you won't have a hard time getting them. Google developed these tools for Ubuntu, so they're super easy to get set up on Ubuntu and Debian. The Android tools aren't hard to get on Fedora either. They're available in the default repository. Arch Linux has the tools in its repositories too. 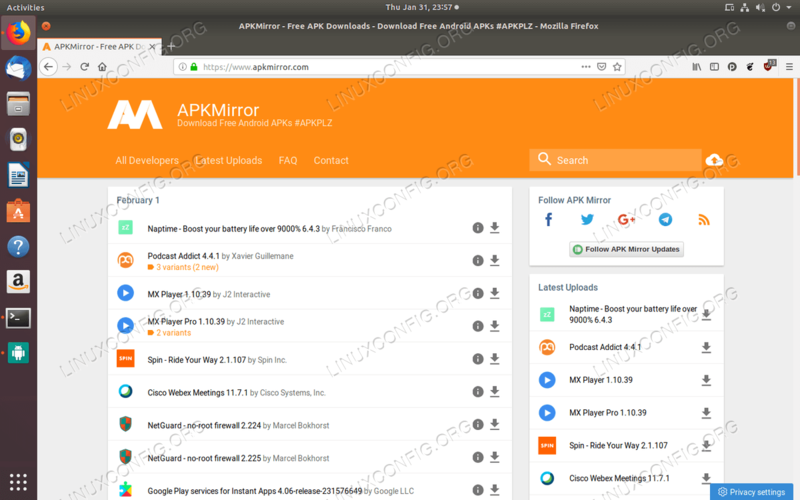 While you can't use the Play Store to download apps on Anbox, you can grab independent Android APKs from sites like APKMirror, and manually push them with the ADB to Anbox. It might seem a bit awkward, but you'll pick it up quickly. Download an App From APKMirror. Open your browser, and head over to APKMirror. You'll notice that there is a search feature to the right of the page. Use it to search for an app you want to try out. Don't select anything that you know will require Google services. They won't work, since Anbox is missing the Google Play services. Also, be sure to locate an x86 APK. Even though you're emulating Android, you're still on a regular 64bit CPU, not ARM. It's time to start up Anbox. It is a graphical application, so you can search for it in your application launcher. When Anbox opens, you'll see a plain window with a simple listing of Android apps. You can try clicking on one to open it up. It's all fairly bare bones, but it does work. The ADB server will start and list out Anbox as an emulated device. Now, you're ready to install your app. Install An App on Anbox. Locate the APK that you downloaded in your terminal. Then, issue the following command to install it on Anbox. It'll take a few seconds, but when it's done, your app will appear in the listing on Anbox. Here's the tricky part. It may work, and it may not. Anbox isn't a perfect emulation solution just yet. Anbox is a great way to try out Android apps on your Linux PC. It's not ready for daily use, and it's certainly not a production grade system. That said, you can do some really cool things with Anbox, and it can be a great tool for Android developers.